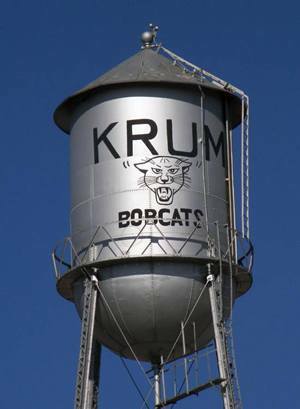 Located seven miles northwest of Denton and 47 miles northwest of Dallas, Krum offers a small town rural atmosphere, an excellent school system (Krum is served by the Krum Independant School District) and a great location which makes it an excellent place to raise a family or to retire. If you prefer a rural atmosphere, enjoy equestrian pursuits, or just want a nice place to live near but away from the hustle and bustle, add Krum to your list of places to consider. Browse the homes below or use our advanced North Tx MLS search tools to find available properties in this pretty town. Listing courtesy of Northbridge Management & Consulting. Listing courtesy of CUDD REALTY.